Dysphagia Level 3 – Soft – Omit walnuts. Cook according to recipe and serve as is. Line a baking sheet with aluminum foil lightly coated with cooking spray. Lightly spray beets and green beans with cooking spray and toss with garlic, salt and pepper. Place on baking sheet and roast for 15 minutes. Stir and roast an additional 5 minutes. Meanwhile, place walnuts in dry skillet over medium heat and lightly toast for 2-3 minutes. 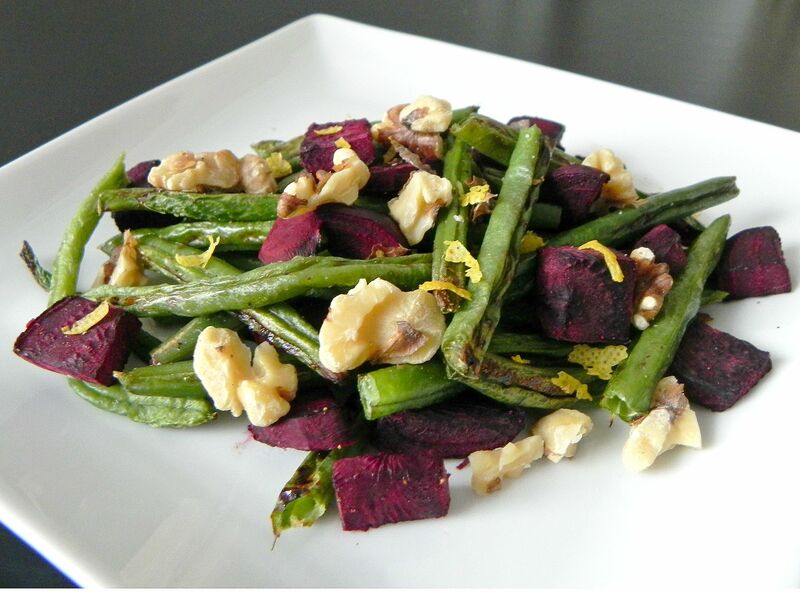 Remove green beans and beets from oven and toss with walnuts, lemon juice and zest.